I opened an Internet shop called FavreBijoux on Etsy almost two years ago. Etsy provides a template for photos and descriptions and facilitates transactions through PayPal. 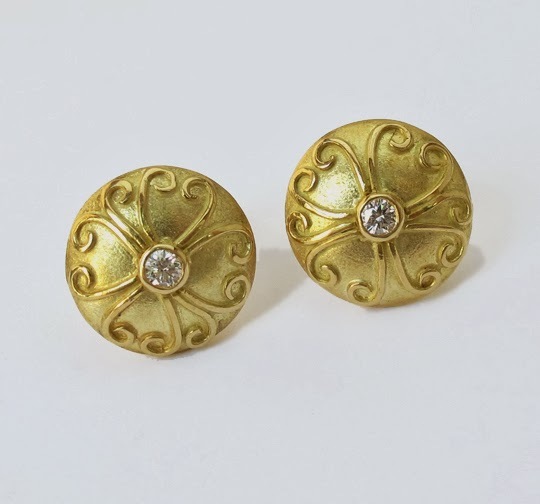 FavreBijoux is where I sell some of my production designs in both sterling silver and 18k gold along with a selection of one of a kind jewelry. The Internet has made it possible for artists like myself to connect with buyers anywhere in the world. Since opening I have shipped pieces to Europe, Canada and many states in the US. Today, every brand is developing a social presence and in many cases directly selling on their sites. Luxury products are selling online along with Fine Art. Through the years I have made many wedding bands and other custom pieces to mark special occasions. I have been privy to the engagement plans and intimate stories that inspire the jewelry and I am always honored that my clients share these personal messages with me. 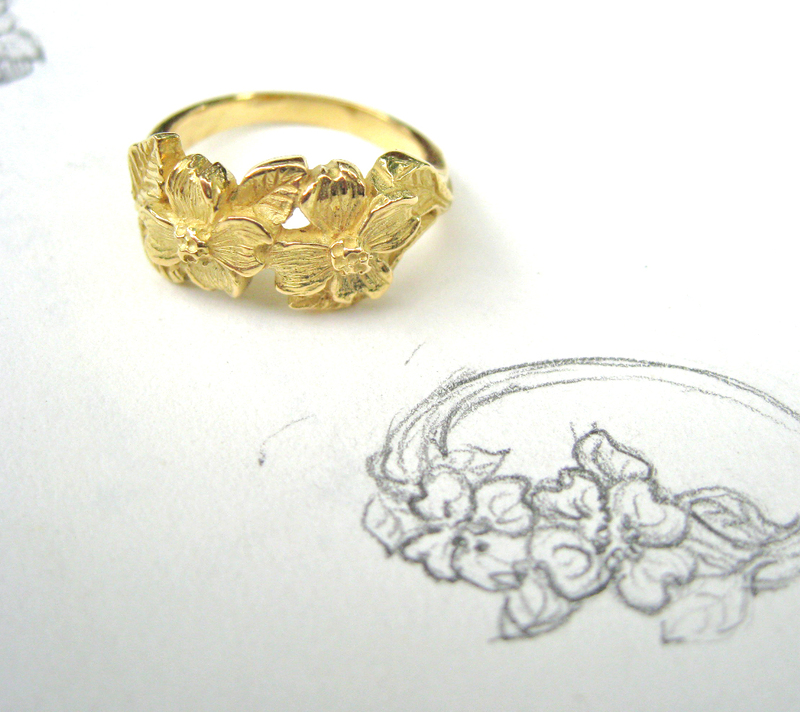 The original Dogwood ring was commissioned by a couple. She is a published author of books on horticulture and he is a master gardener and teacher of horticulture. 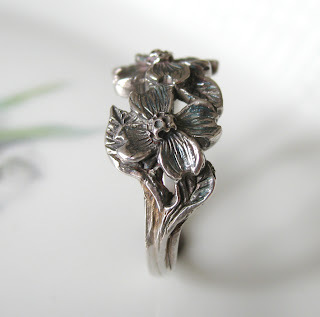 Her love of the Dogwood flower, a native species in Pennsylvania, inspired the ring. My interest in botanical painting infused the project with the necessary detail required to sculpt the original wax. I guess it should follow that this Dogwood ring is a sentimental favorite on Etsy and on several occasions it has become an engagement ring. 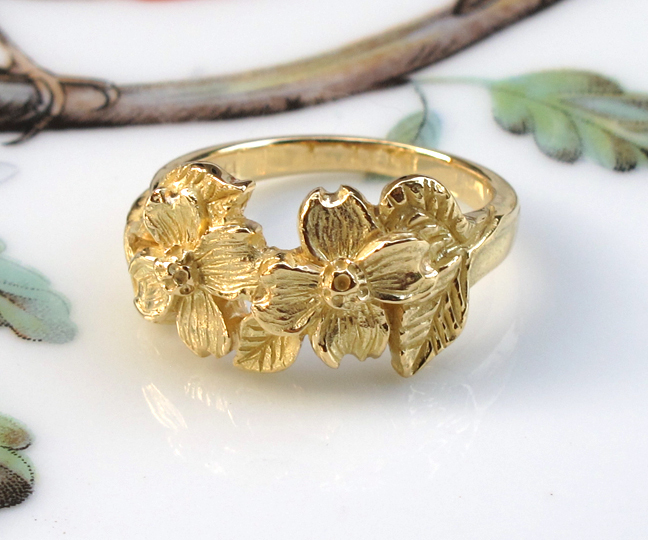 Dogwood Ring- 18k Gold. ©FavreBijoux on Etsy.